Tasting Notes: Brouilly Selection Georges Duboeuf from Georges Duboeuf in Brouilly, France. This Brouilly can be found in the southern part of Beaujolais “crus” and recognized as the most vigorous one and the biggest and the broadest vineyard in terms of volume. 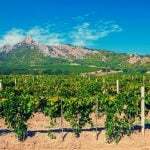 Aside from being the second most searched wine from the region, this Brouilly wine was ranked third among wines because of the number of awards received. 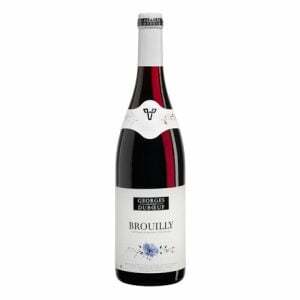 This Brouilly Selection wine is wrapped by an intense crimson color which delivers powerful, harmonious and red berry aromas with floral hints. Flavors are concentrated showing strawberry and plum on the palate with very smooth tannin structure, which makes it more persuasive to the tongue. Accordingly, Brouilly Selection Georges Duboeuf wine is ready to drink, but maybe kept for two years and is recommended to taste at 12-13 °C.